A completely unique artwork made from pork scratchings wrappers with a lovely story behind it. A customer wanted to buy a Christmas gift for a friend who's husband had unfortunately passed away earlier in the year. 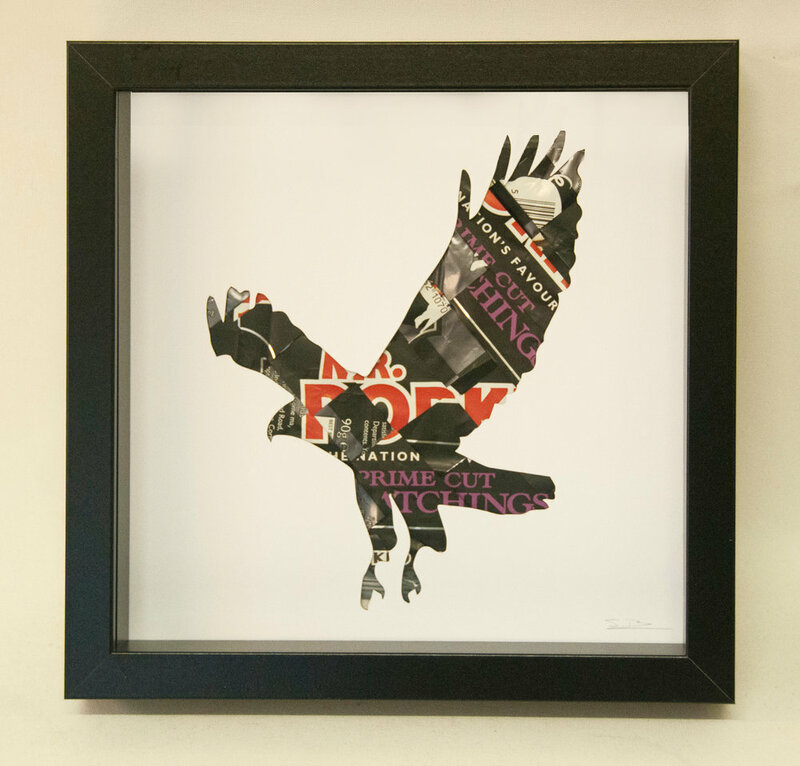 He had always loved both pork scratchings and buzzards so the challenge was to create an artwork which combined these two loves together. Sarah laser cut the shape of the majestic buzzard onto card. 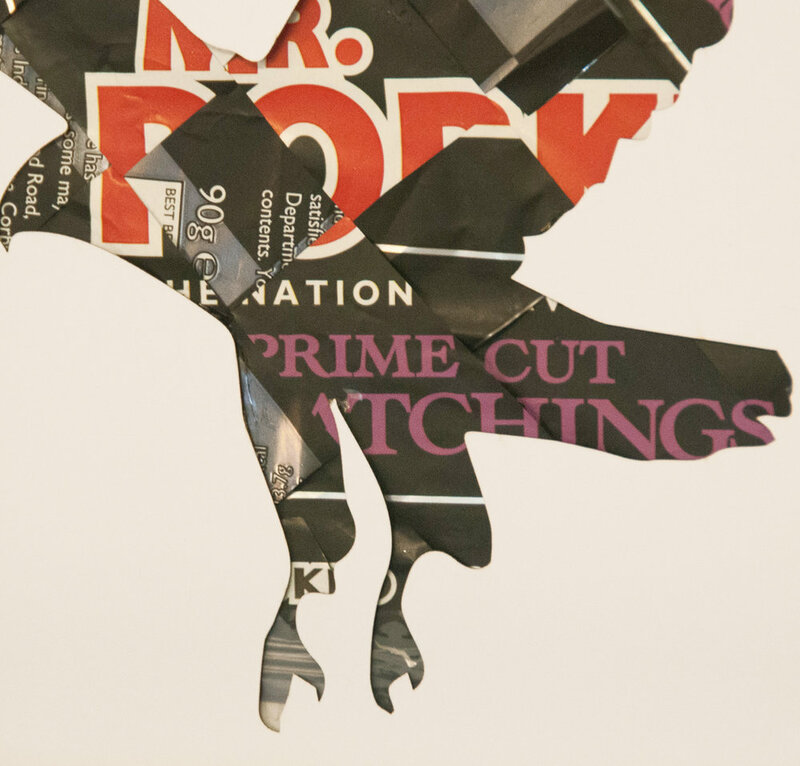 Then got to work cutting up the pork scratchings wrappers and layering them up to create the finished piece. Customer Quote: "I saw Sarah's beautiful work on display and hoped she would be able to create a unique and special gift for my friend. The "Pork Scratching Buzzard" was amazing, beyond what I had hoped for. The perfect gift for a very courageous and inspirational lady." If you have an idea for an upcycled picture then just contact us. We are always looking to make new artworks and create new ideas.